If an authentic and personal Maori cultural experience is on your New Zealand wish list, you don’t want to miss this exclusive ‘off the beaten track’ adventure that heads for the coast and deep into the heart of indigenous Aotearoa New Zealand. 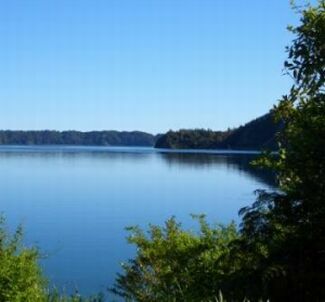 You’re adventure starts with an 8.00 a.m pick up from the Rotorua i-SITE Visitor Centre or your accommodation. After quick introductions, we’ll head through thick pockets of native New Zealand forest as we wind past the majestic lakes of Rotoiti, Rotoehu and Rotomā towards Whakatane – an idyllic ocean side town famous for being the official sunshine capital of New Zealand and the gateway to Whakaari White Island – New Zealand’s only active marine volcano. 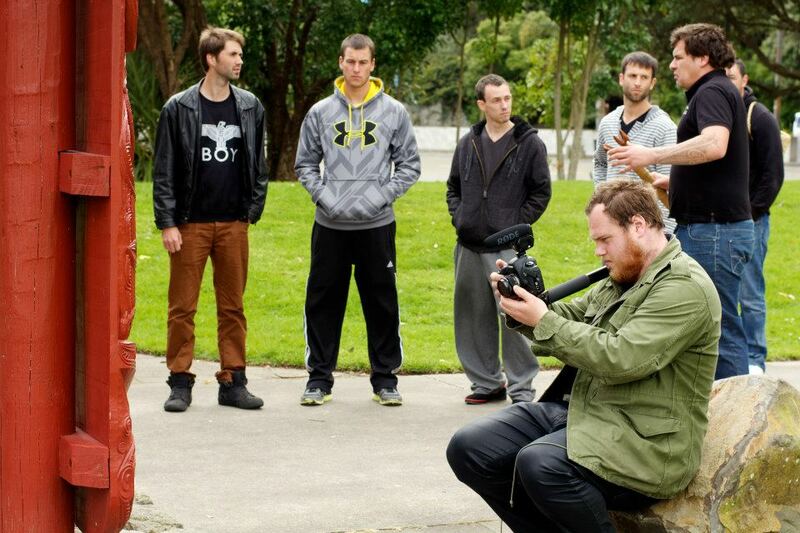 Whakatāne is also New Zealand’s longest continually occupied settlement and a cradle of Māori heritage. In this historic setting, we welcome you into our homestead set to perform the first, and most important, ritual of the day – the setting of a traditional Māori earth oven or hāngi. While the hāngi cooks, we set off to a intimately guided journey into our culture incorporating the Te Kōputu Gallery Alive Māori Museum Experience and Awa Kōrero Ancestral Māori River Walk. After concluding the river walk with a spot fishing at our local ‘sweet spot’, we head back to the homestead to feast together in true Māori style. The hāngi is a symbol of celebration and you are the guest of honour so sit back, relax and enjoy the legendary hospitality Māori are famed for. At the conclusion of the meal, we will have a brief poroporoaki (farewell ritual) before you bid Whakatāne farewell. As a treat for rugby & league fans, we make a quick photo stop at the Pāroa Rugby & Sports Club, original club of cross-code superstar Benji Marshall. No visit to Rotorua would be complete without experiencing the region’s iconic geothermal delights so on the way home we stop to bathe in the mineral saturated waters of a private natural Māori hot pool. The healing properties of the pool have served the local tribe for centuries and it remains today one of their most prized tāonga (ancestral treasure) Ease your tensions away as the healing waters from core of the earth help to soothe ailments, rest tired muscles & revitalise the skin. 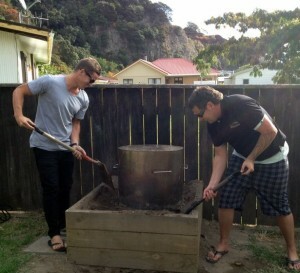 Join The Locals As We Show You How To Cook The Perfect Hāngi. Hear The Legends Of Our Ancestors And Visit Our Most Sacred Sites. 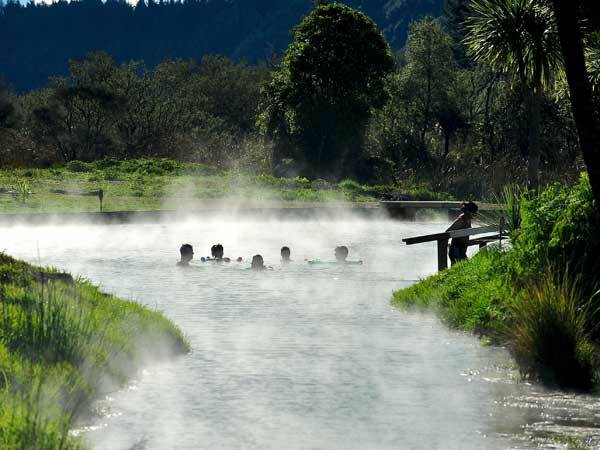 End The Day With A Soak In A Natural Māori Healin Hot Spring.